Senior US officials write to Obama over 'unjust' parole denial as Pollard enters 30 years in US prison. 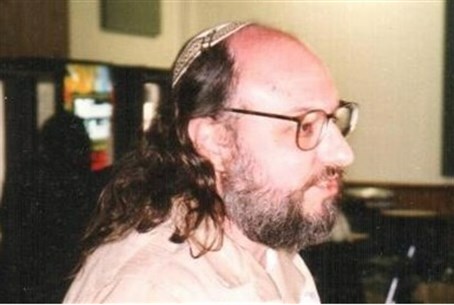 In light of the decision to once again block the parole of Jonathan Pollard, who on Friday enters his 30th year of imprisonment in a US jail for charges of spying for Israel, senior US officials have written US President Barack Obama to denounce the injustice of the case. The letter was signed by eight senior officials, including former CIA director James Woolsey, former Assistant US Defense Secretary Lawrence J. Korb and former US National Security Adviser Robert C. MacFarlane. Last week the letter was sent to Obama. After it became public that the parole was blocked yet again, and given that Pollard is now entering an unprecedented 30 years in jail on charges of spying for an allied country, the officials decided to clear the letter for publication. We, the undersigned, in our official US government capacities, at the time of and subsequent to Jonathan Pollard’s arrest, are fully familiar with the Pollard file and with its classified contents. We write to protest the unjust parole process which on August 4, 2014 denied parole to Jonathan Pollard after 29 years in prison. Our review of the Parole Commission decision compels our strongest objections to the conclusions of the Commission and our dismay with the deeply flawed process. The Parole Commission decision document mischaracterizes Mr. Pollard’s actions and makes a patently false claim upon which it bases its denial of parole. The Commission’s allegation that Mr. Pollard’s espionage “was the greatest compromise of US security to that date” is false; and not supported by any evidence in the public record or the classified file. Yet it was this fiction that the Parole Commission cited to deny parole. We have learned that at the parole hearing, the government relied heavily on a stale, largely discredited, 28-year old classified memorandum written by former Secretary of Defense, Casper Weinberger, without any scrutiny or rebuttal since Pollard’s security-cleared attorneys were denied access to the document and the Parole Commission is not cleared to review it. Mr. Weinberger himself discounted his original damage assessment of the Pollard case in a 2002 interview when he stated that the Pollard case had been exaggerated out of all proportion and that it was in fact “a very minor matter but made very important." The unreliability of the 1987 Weinberger document was known to and ignored by the Parole Commission. Worse, the Parole Commission ignored all other documentary evidence that mitigates in favor of Mr. Pollard’s immediate release. ...All factors considered, including his comportment as a model prisoner for nearly three decades, Mr. Pollard’s unconditional release (let alone his release on parole, which does not address the disproportionality of his sentence) is long overdue. Copies of our previous letters to you, urging Mr. Pollard’s release were included in his parole submission and ignored. We would like to point out as well, that the Parole decision document notes Mr. Pollard’s Salient Factor Score, indicating his suitability for release as “10” which is the highest score possible. This too was ignored. The Parole Commission also ignored compassionate factors, such as Mr. Pollard’s age (he has spent half of his life in prison) and his poor state of health; and his family situation (his wife has had two bouts with cancer and had to manage without her husband’s presence or assistance). As former officials of the US government who served our country with pride, we take no pride in the ongoing miscarriage of justice which has deprived Mr. Pollard of his right to fair and equal treatment before the law. Mr. Pollard committed a serious offense and justifiably received a severe sentence. Efforts to secure commutation of Mr. Pollard’s life sentence began in earnest only after Mr. Pollard had served 20 years as a model prisoner and adequately expressed remorse. It is clear that his sentence is far more severe than others in the US convicted of the same offense. ...Denying a man his freedom based on a claim of damage that is patently false while ignoring exculpatory documentary evidence and hiding behind a veil of secret evidence is neither fair nor just, and it simply is not the American way. ...We therefore strongly urge you, Mr. President, to tolerate no further delay in rectifying an injustice that has gone on for far too long. We urge you to act expeditiously to commute Mr. Pollard’s life sentence to the 29 years which he has already served.